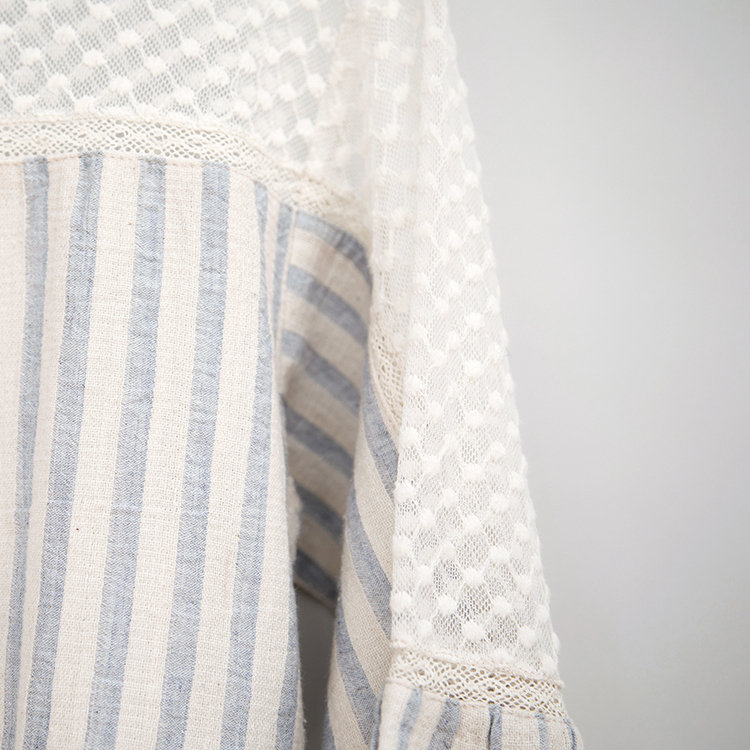 Pretty mid-length sleeve blouse inserting with delicate cotton mesh panels and pretty fagoting laces, fresh cream/ blue stripes across body, sleeves and hem. 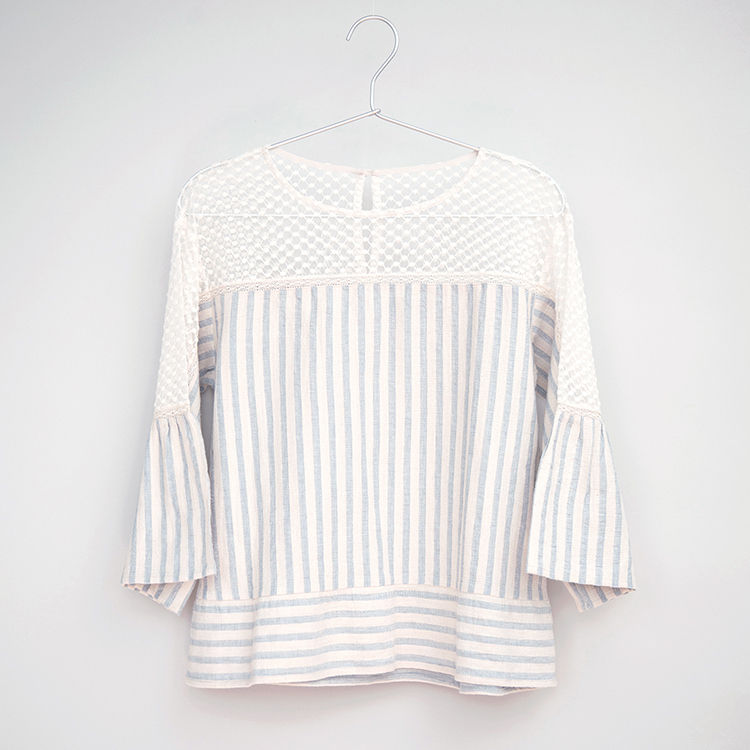 Easy to match with any trousers or skirt for an effortlessly feminine look. Elbow length sleeve, loose fitting, buttoning keyhole back. Model is 175cm and is wearing size XS. 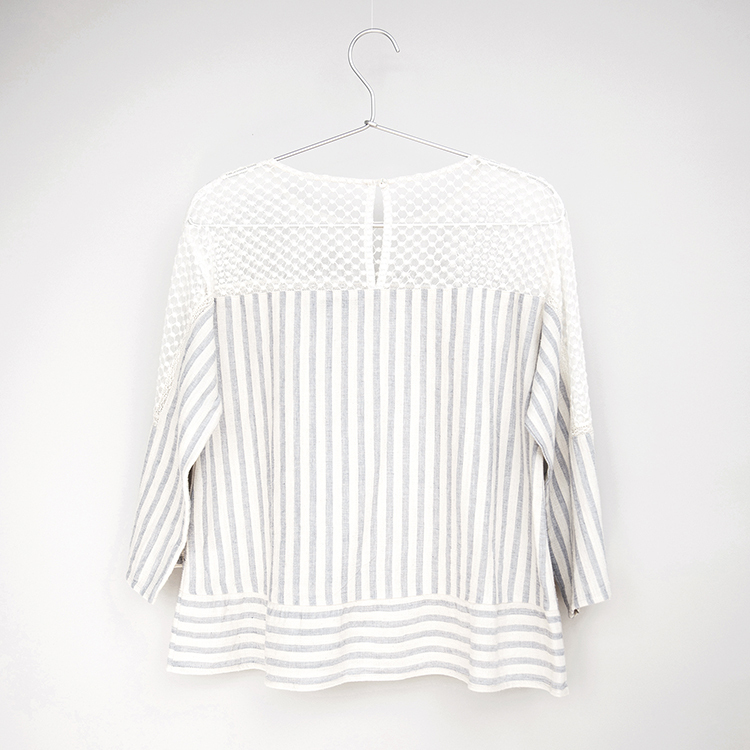 Shell: 100% Cotton. Contrast: 100% Cotton.